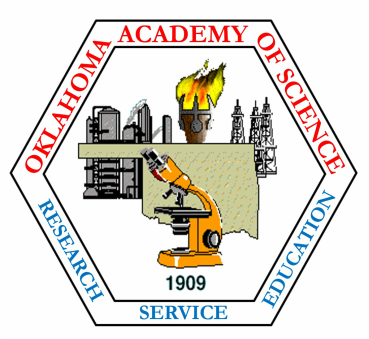 The mission of OAS is to stimulate scientific research through encouragement of fraternal relationships and the sharing of ideas among Oklahomans working in the sciences. We foster knowledge through meetings and science related publications for all Oklahomans interested in the sciences. OAS also promotes the scope and relevance of science to state citizens through the investigation and publication of natural, educational and other resources of the state. OAS counsels governmental and educational agencies on the advancement of state science programs and enlists participation by the private sector in scientific research and education. OAS is affiliated with the National Association of the Academies of Science and the American Association for the Advancement of Science. OAS sponsors state scientific meetings, recognizes scientists and organizations for scientific endeavors within the state, supports various collegiate student research programs, including student awards for outstanding scientific research, and promotes high school student research with cash awards. OAS promotes student activities and organizations including the Collegiate Academy of Science for undergraduate students and the Junior Academy of Science for middle school through high school scientists and their teachers. The OAS Fall Technical Meeting, held in early November, draws academic, professionals, industrial and lay persons with an interest in science. The program includes oral and poster presentations of scientific research and Academy business. Each Spring and Fall, OAS sponsors field trips to encourage a deeper understanding and appreciation of Oklahoma geology, ecology flora, fauna, geography and history. Family participation is encouraged as is the inclusion of nonmember visitors. The locations of both the Technical and Field meetings varies within the State from meeting to meeting.